Connect young people throughout the entire congregation. Help young people develop their faith and ask questions in an open and supportive atmosphere. Nurture young people’s desire for a faith that is relevant and vital to everyday living. We integrate young people in worship through music, reading, ushering, helping in the nursery and more. 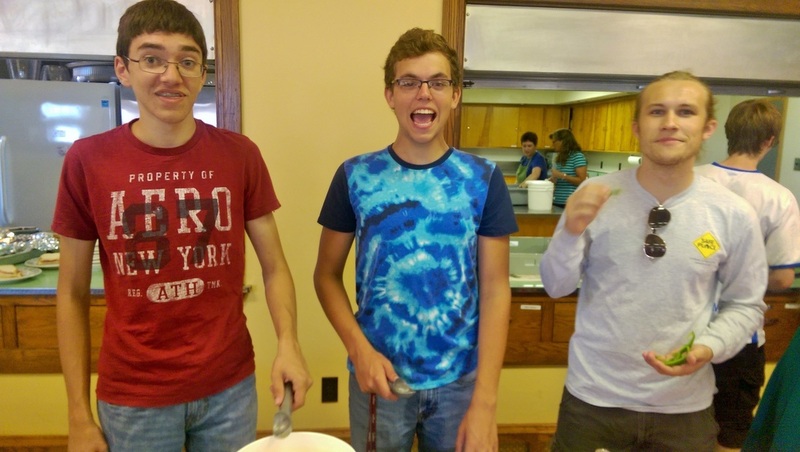 Young people are engaged in service work within and beyond Huntingdon, including workcamps, supporting our Guatemala Circle and more. We also share in fun and fellowship to foster relationships, nurture identity, develop character, and enjoy God’s creation. Camp Blue Diamond is an important part of middle and high school youth life. We also celebrate connecting with other Brethren youth in our district through the annual volleyball tournament. ​Middle school and high school years are particularly formative and often challenging. In our youth ministry we care for young people and equip them for discipleship.